The Klarity WingSpan™ Baseplate features secure arm support for upper body treatment and diagnostic procedures. The Klarity WingSpan™ Baseplate can be used alone, or in conjunction with the Klarity Supine Breast System. It is also compatible with the Klarity SBRT System. The Klarity WingSpan™ Baseplate features secure arm support for upper body treatment and diagnostic procedures. The WingSpan ™Baseplate comes with T-Hand Grips. It is compatible with standard Silverman head supports and can be used with the Head Cup included with the Supine Breast System. 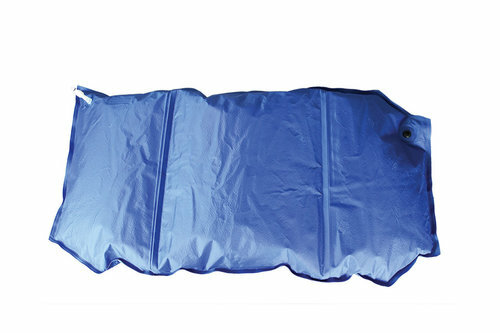 The compatible WingSpan™ Vacuum Bag allows for secure customizable support. It is comfortable and lightweight, and allows for easy transporting, indexing, and re-positioning, with low attenuation. The Klarity WingSpan™ Baseplate can be used alone, or in conjunction with the Klarity Supine Breast System. It is also compatible with the Klarity SBRT System.